I’ve been so wearied and heart sick from the on-going violence and hate speech across our country and world. Most days I say something like “Well, my sinuses are acting up” when someone questions me, but the truth is that I’m simply soul fatigued by the darkness that is so often heard exploding from stages, pulpits and the barrels of guns. Preparing for this day’s Advent message on Love, I am reminded that there is a remedy for the hate. There is a prophetic voice that answers the bigotry and fear. It is not a fight fire with fire kind of answer or a choice to out-shout, out-hate or out-bigot the worst that we hear on a daily basis. It is love. Love released, love shared and love unfettered among us. It was a challenge to prepare this sermon, sort of like those occasional nights as children when we woke in the darkness and groped along for what seemed like hours to find the light switch. All we wanted was to get to the bathroom and have some relief, but it seemed so impossible in the darkness to get there. We will get there. We will love. We will keep the prophetic voice of our faith. In humility and my in own soul-weary dance, I offer this message and reminder that we have a purpose higher than the politics and brighter than the darkness. We have love. Our scriptures are big enough and old enough and engaged enough with humanity that within them there will always be some things that confuse me, things that anger me, and things that frighten me. But within them I also find again and again the great themes and underlying truths keep me bound to God and to Christ, such as the prophetic themes of love, justice and mercy. The theme of God’s great love that cannot be taken from us is one of the constants of our scriptural narrative and record. The theme of our essential goodness and the struggle to avoid the darkness which will hide it is another great theme which calls us to renewal. I cherish the theme of needful justice for the oppressed and disenfranchised, and then mercy for those who have abandoned justice and need to be restored. Our scriptures continue to inspire, comfort and convict, even in the midst of the challenges I mentioned before, because they are prophetic. They are prophetic, and the prophetic voice of scripture is love. What does it mean to say that the prophetic of scripture voice is love? When we use the word prophetic we think of oracles and predicting the future, but we also are talking of the past and the present and a voice which often loudly and coherently binds them all together in a meaningful narrative and message. Such is love. Love is our past, our present and love is our future. Love is the meaning of our effort and struggle, the hope of our need and the joy of our suffering. So the narrative of love begins in scripture with God’s great love for us and all creation, and God’s understandable discontent when the darkness of our hatred and violence kills and destroys. But God’s love continues, and so much of the Psalms are verses singing about that steadfast and deep love. And even though God’s anger is understandable at our failure to match that steadfastness, God’s love rolls on and on. Painting by Edward Hicks, an amazing American Quaker artist. This is one of his many Peaceable Kingdom visions. And in Isaiah 11, the prophetic voice of love reminds the downcast and the oppressed that hope is not lost. That prophetic voice casts a vision of a coming reality when love reigns in the coexistent harmony of so many seemingly incompatible things: infants and serpents, bears and cows, lions and lambs, the wise and the old being led by children and the unlearned. Can we just stop for a moment and notice the obvious truth here, that love is more often unlearned in our species than learned? The children lead us in love for they have not yet had its light extinguished by our older fears, bigotry and hatred. These are the teachings that often confound us, but also that shape and create a coming future in which the seemingly incompatible can exist in peace. Our candle called LOVE is burning. This is our reminder and our calling to let love so burn in us. Love is our prophetic vision, our voice and oracle of all things to come, and we must not ever let the darkness hide it or take it from us. We cannot allow fear or ego to dampen it. We must answer it’s call and remain in it’s path. May love’s Advent never end, but may the arrival continue, lighting the dark corners of our lives and the world around us. May we never lose hold of the goodness with which we are made and continually chosen by God to experience and share enduring love. May we never exchange this great prophetic voice for any other message or meaning. For in this endeavor, in this embrace of love, we join the deepest narrative and truth of scripture. We enter into the millennia old work of God to enact justice, to promote mercy and to the humbly journey together. How could we choose any other voice of prophecy? How could we allow any fear or worry to obscure this love? How could we claim any truth above this love? How could our identity be known by any other mark? 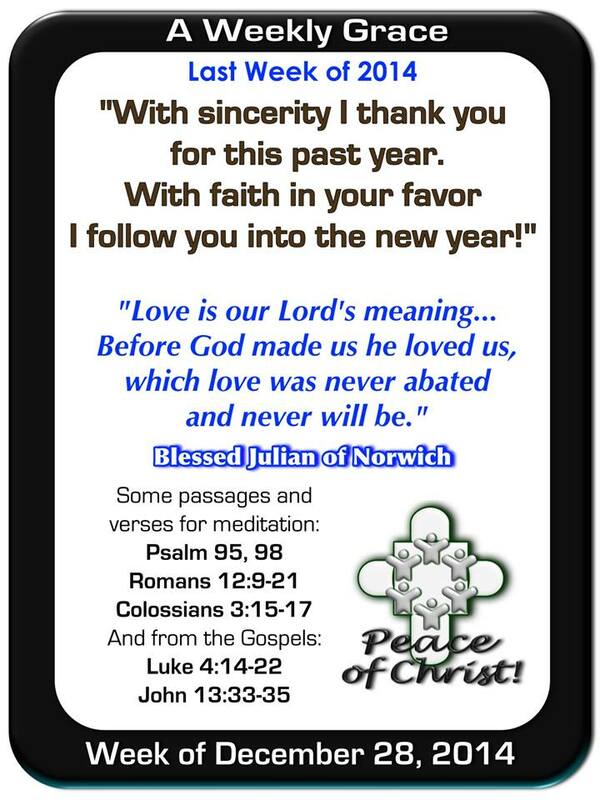 This entry was posted in Advent, Devotional Thoughts, preaching and tagged Advent, love. 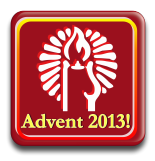 Advent Week Three For Web! Daily Devotionals Dec. 15-21, 2013! This entry was posted in Advent, Devotional Thoughts and tagged Advent, Daily Devotionals, Week Three.